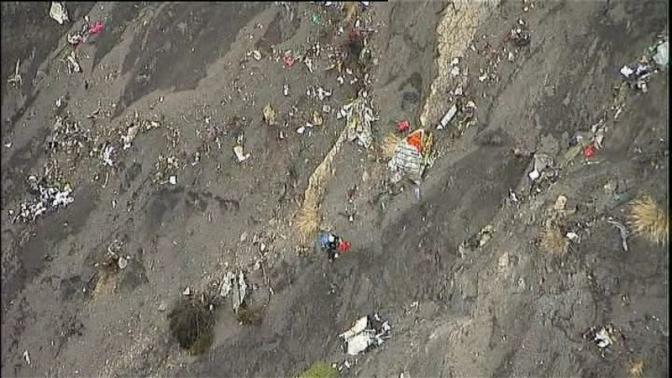 Speculation continues to mount as to what caused Germanwings plane 4U 9525 to crash. 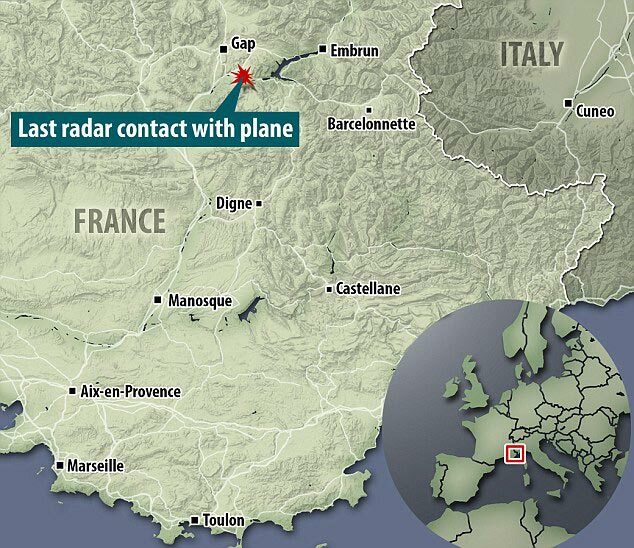 Questions are being asked as to how Lufthansa’s Germanwings plane 4U 9525 was able to set out from Barcelona to Dusseldorf, Germany after suggestions the plane had been grounded 24 hours prior to it crashing in the southern French Alps of Prads-Haute-Bléone. According to reports the forlorn aircraft had suffered technical issues, including a landing gear problem the day before, forcing it to be grounded for an hour the day before. The UK’s telegraph would tell that pilots and cabin crew expressed their concerns the crash may have been linked to a repair to the nose-wheel landing doors on Monday. 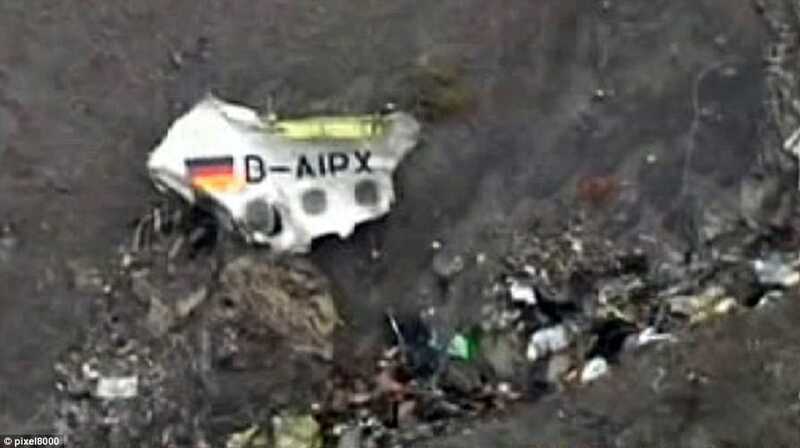 Lufthansa in turn would deny that there was any link between the repair and the cancelled flights. 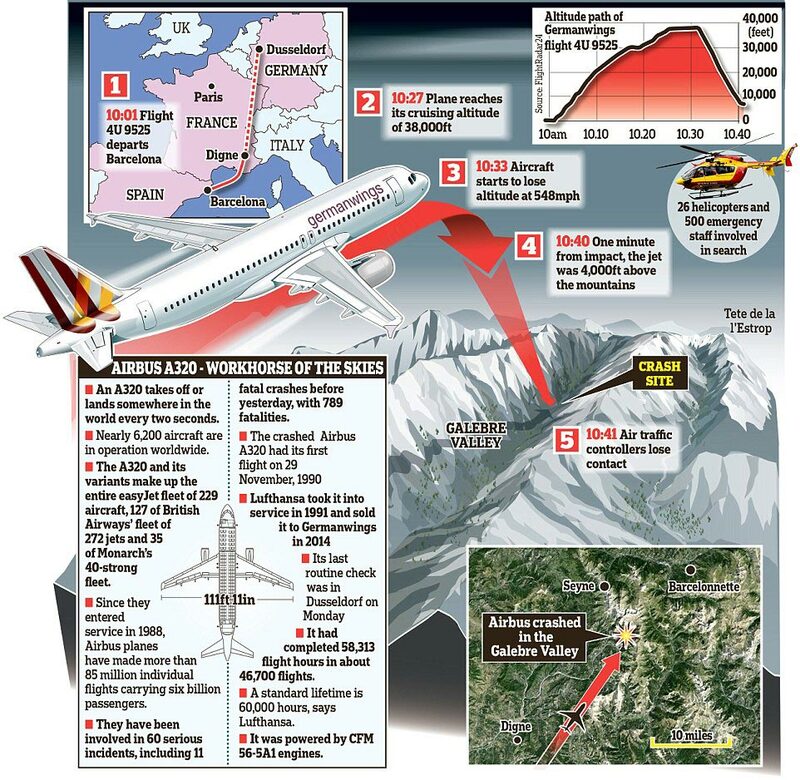 The revelation has since led to disconcert as to why the aircraft was allowed to fly with pilots at other Germanwings depots, including Heathrow, Stansted and Manchester refusing to work over safety fears. That said speculation has also risen to the fore that the plane may not have incurred sudden navigation issues, with the plane having not fallen immediately from the sky, posing the idea that perhaps overworked pilots may have fallen asleep? That said Germanwings chief executive Thomas Winkelmann would defend the plane’s captain, telling that they had been with the Germanwings’ parent company Lufthansa for more than ten years, having clocked up 6,000 flying hours. Winkelman would describe the doomed plane began descending shortly after reaching a cruising altitude of 38,000ft after having taken off from Barcelona at about 10am local time. 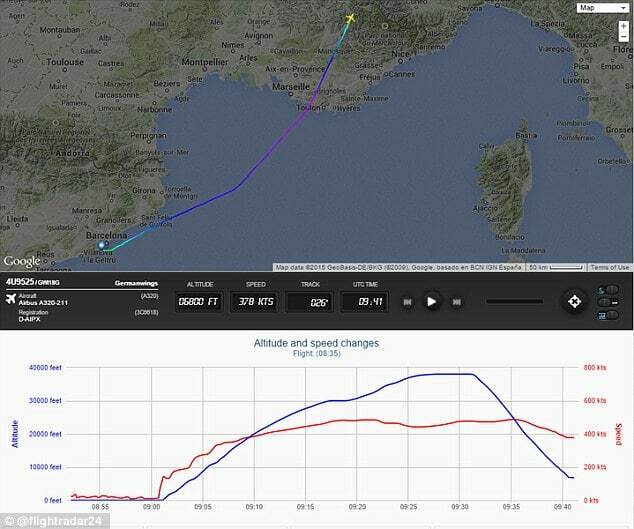 He would note the aircraft started losing altitude at around 10.33am with the speed reportedly increasing to 548mph. The last reported radar returns had the aircraft descending to 6,800 feet at 434mph – eight minutes later – at 10.41am. Another theory making the rounds is the idea computer technology used in flying the A320, and in particular its “angle of attack” sensors which tell whether the aircraft is pointing up, down, or is level may have been tainted. Last year an Airbus A321 owned by Lufthansa went into a sudden descent at 31,000ft, falling at the same rate – 4,000ft per minute – before the crew managed to regain control. 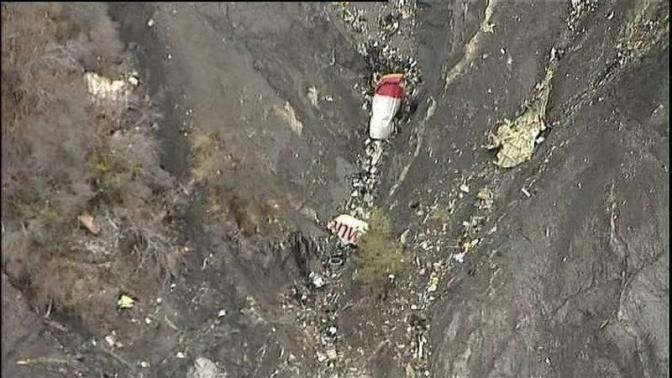 The European Air Safety Directive said in that incident the aircraft’s angle of attack sensors had become blocked and tricked the computer into thinking the aircraft was about to stall. What has vexed aviation experts is why the pilots during the eight minutes that the plane lost altitude from 35 000 feet to just over 6000 feet before crashing had not sent out a mayday call. 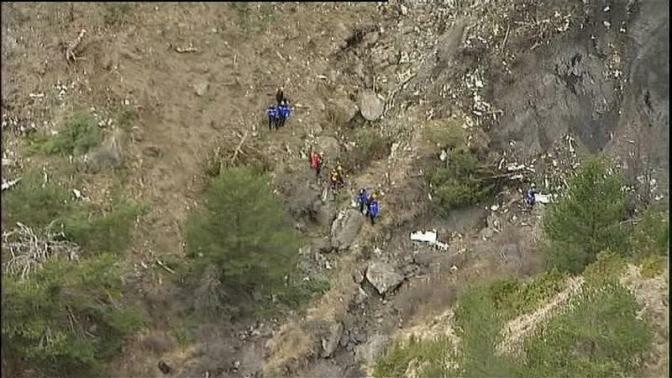 French gendarmes survey the scene. 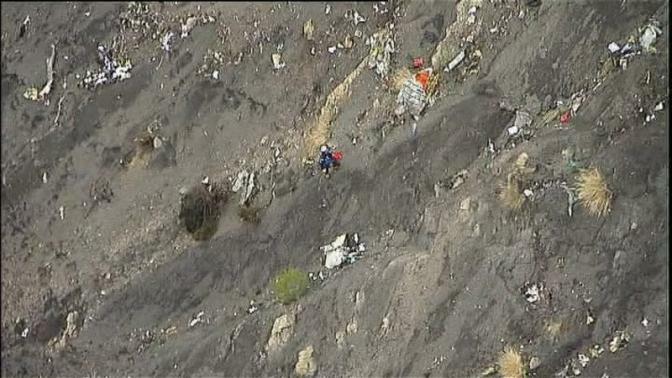 Images via Reuter TV. Screen shots.